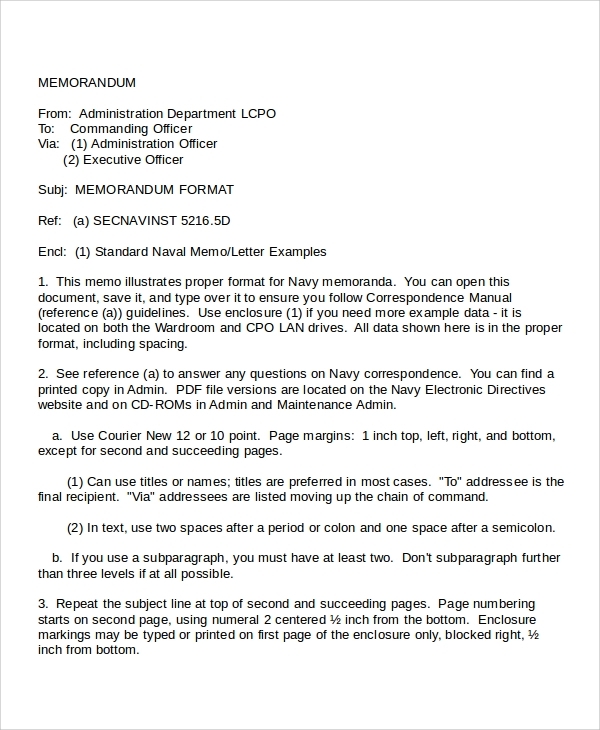 A memo or a memorandum is a document used to make communication possible between the members of a department in an organization. 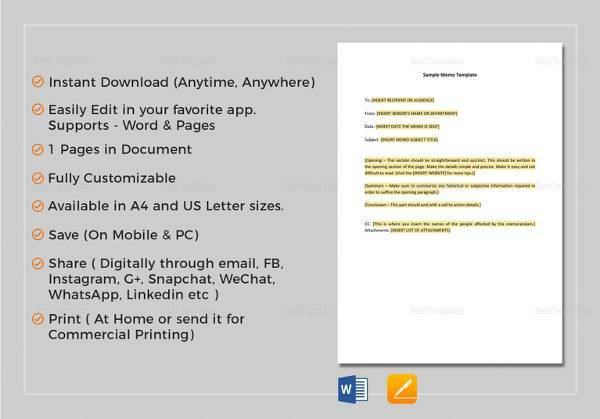 A memo is also used for external communication i.e. whenever you want to communicate with business associates. 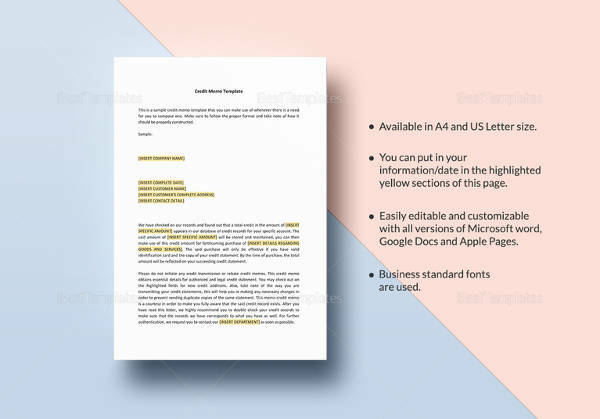 A professional business memo is used by business people and entrepreneurs to give orders to their employees. 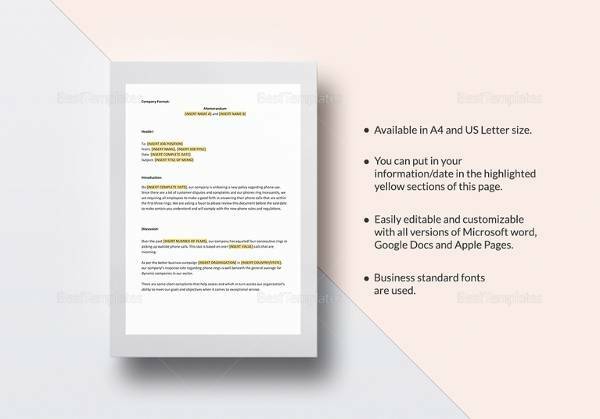 The memo is prepared by using simple business language for everyone to easily understand. 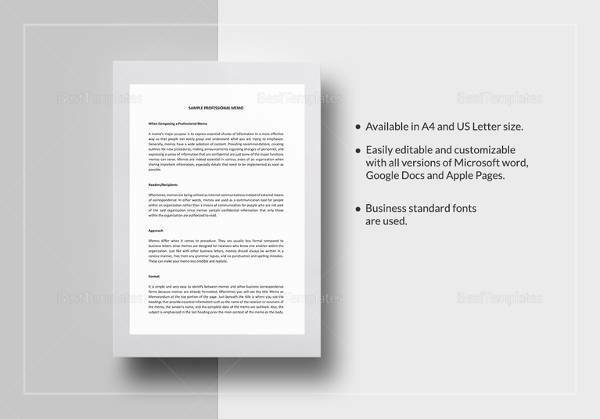 On our site, we have various sample of business memos which can be used as guides or templates. 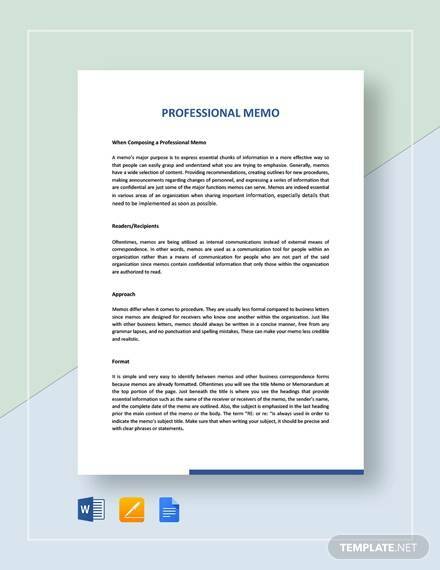 A professional policy memo is skillfully written that provides analysis or recommendations to a selected audience on a specific topic. 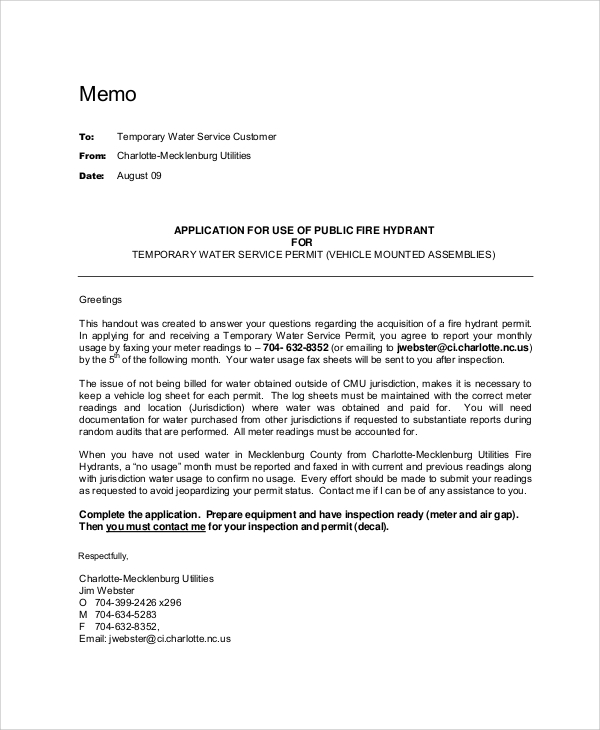 The policy memo is well written in a language that is just for the targeted audience. On our website, we have a number of such memo samples which can be used as guides. 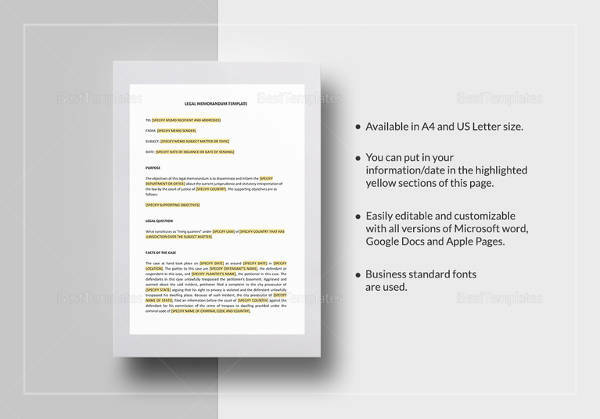 This is a professionally prepared memo follows a specific format. 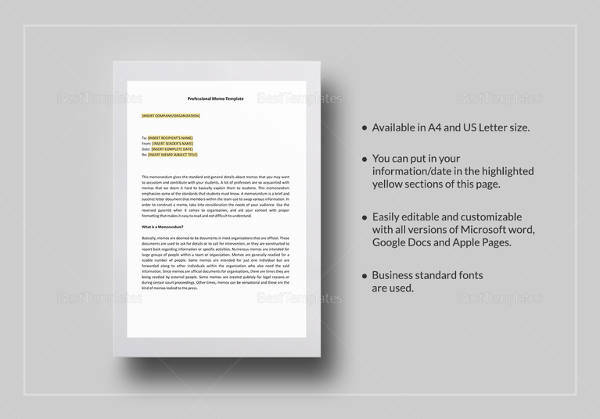 The memo is prepared for professional use only and a sample of the professional memo can be accessed from our site. These samples can be downloaded and customized or can be used as a guide. 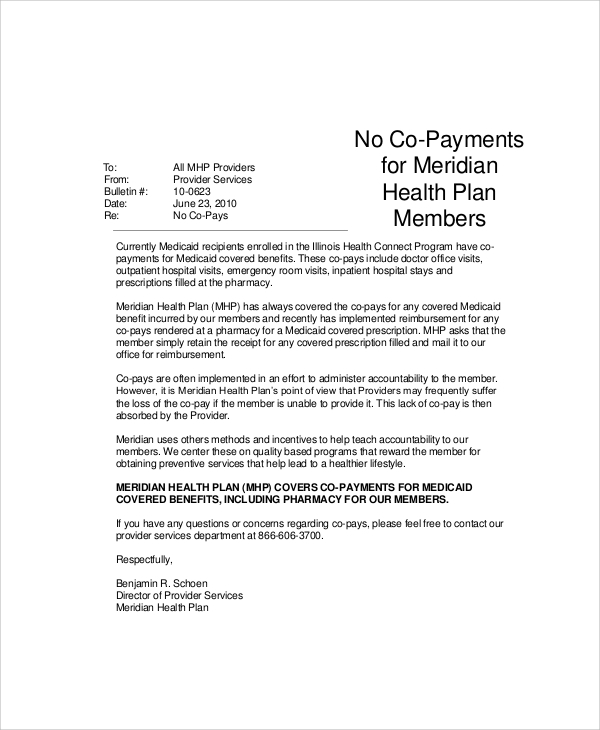 This is a memo address issue related to the health plan of workers in a particular company. 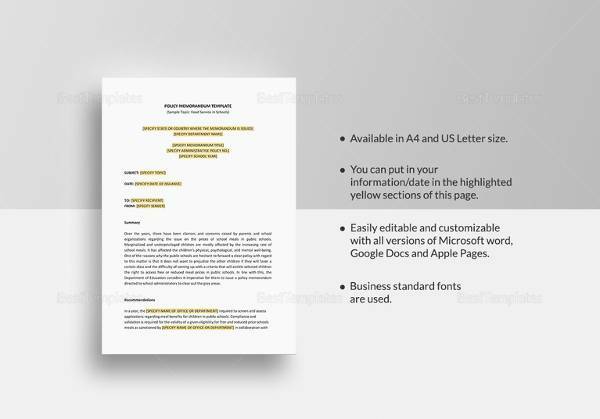 The memo sample helps you to prepare and can be downloaded from our site for free. The samples available can be fully customized or can be used as a guide to prepare one. How to write a Professional Memo? When is a Professional Memo Needed? 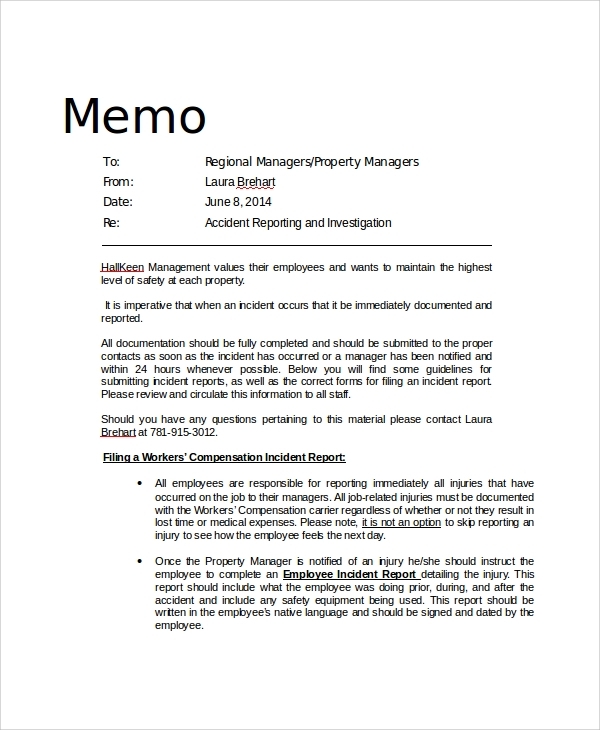 A memo or a memorandum is required whenever people want to communicate inside the organization. It contains all the information about a certain problem and it is needed because it addresses a solution to these problems. 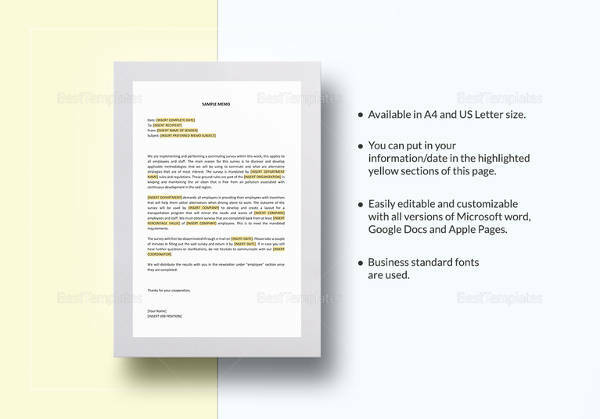 Different types of memos are needed in different situations. In most cases, memos are used by the big organization for employees to communicate between themselves and with other business associates. Although memos are used for internal communication in an organization, we have also found out that they can also be used externally. Memos are important because they help us address issues and find solutions. Writing memo is simple for everyone to learn as it has more benefits.